My girls really crave science. So much so, we study an extra science discipline each year. Honestly, these girls of mine amaze me with the knowledge they have acquired from our favorite science curriculum provider, Apologia Educational Ministries. 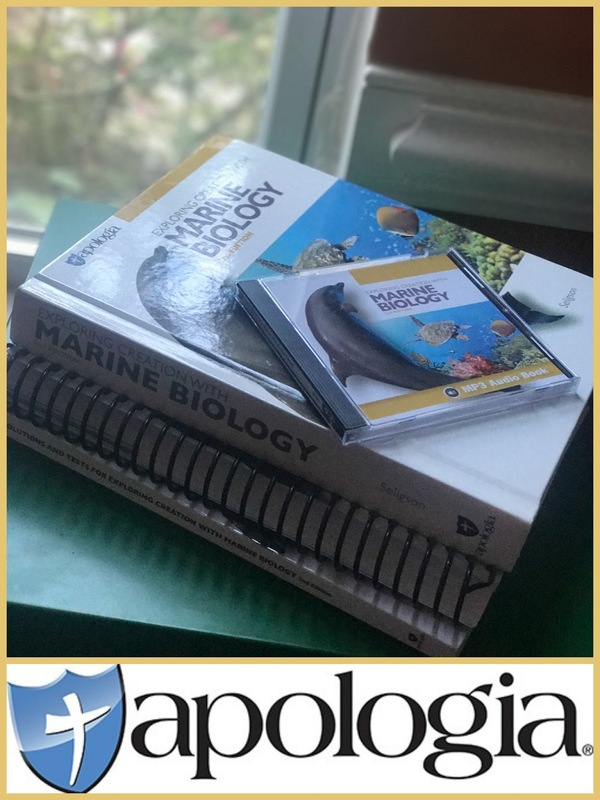 When I heard that the new book, Marine Biology 2nd Edition Advantage Set was up for review I was super excited to check it out! I am sure you have heard of Apologia Educational Ministries if you are a homeschooler. If you are not, let me tell you a little about them. Apologia is one of those companies that everybody talks about and for good reason too! Apologia publishes K-12 Creation-based science and worldview curriculum for children K-12, inspirational books about homeschooling, and hosts online classes through Apologia Academy. 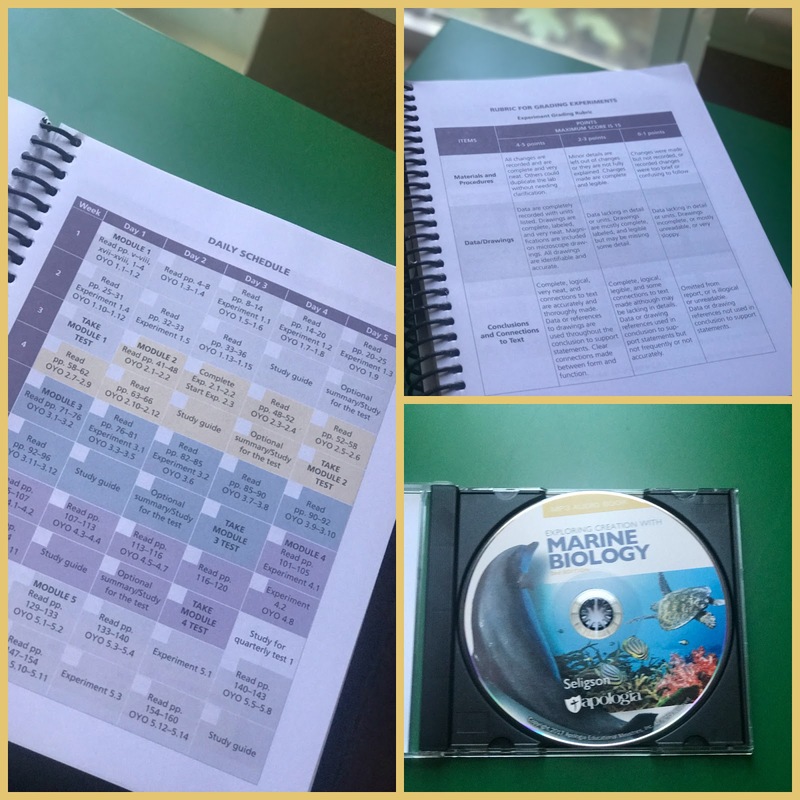 Explore under the sea with this award-winning marine biology course. It received a face lift and now includes more colorful and in-depth information all about the wonders of marine life and their habitats. 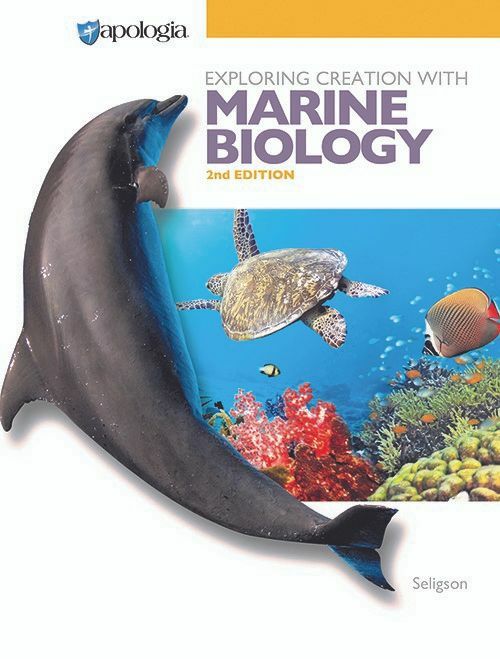 It is recommended for students in Grade 12 and has a prerequisite of Biology. Like other science curriculum from Apologia, you should expect to work through each module for about 2 weeks. Plan on devoting 45-60 minutes of every school day to the course. In our homeschool, we do two science disciplines a year, our main science focus and then an extra discipline that the girls show interest in. Originally, my plan was to have my daughter, Madison (11th grade), take on this course full steam ahead for her extra science course this year. However, she decided that she wanted a full course dedicated to the study of Meteorology so we improvised our plan. Instead of completing the full course, Madison is studying specific modules that interest her. Since there are 16 modules for 1 credit worth, she is doing five modules, Modules 1, Module 8, Module 9, Module 11, and Module 14, for a .25 credit. 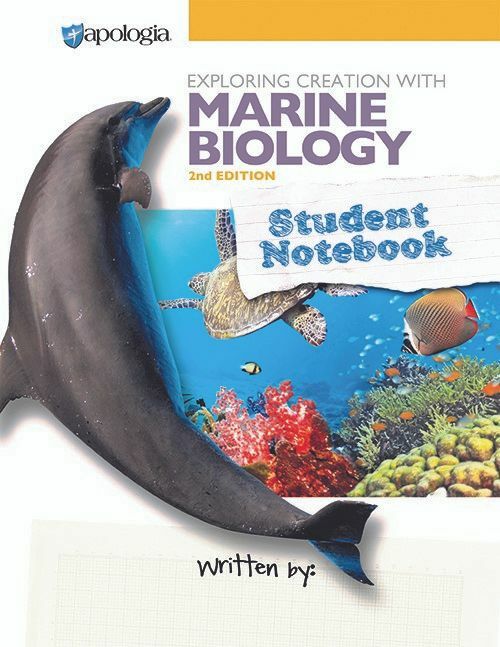 The Student Notebook is a consumable product and is meant to be used by just one student. While Madison did not utilize the Student Notebook, there is plenty of space for your child to take notes, answer the On Your Own questions, record lab experiments, and complete the chapter review before taking the module tests. The notebooking journal provides a handy schedule in the front that has the course completely scheduled out for you. There is also a tracking page for module testing and labs. Plus, your completed notebook at the end of the year also serves as a keepsake to look back on down the road. The only reason Madison didn't use the Student Notebook is because she has her own tried and tested method of science note taking and she prefers to use a quad-ruled graph notebook. To each his own, I say. In our other Apologia studies, my other children have used the Student notebook with great success. The best feature of the products we received was the MP3 Audio CD. The CD is fantastic I tell you! It contains a complete audio recording of the whole course and is read by Marissa Leinart. Hands-down this was my favorite part! I loved being able to pop the MP3 Audio CD into my computer and let it read the text to me while I worked throughout the day or night. That way I am always a step ahead of Madison in her reading and could ask her informed questions about what she had read. 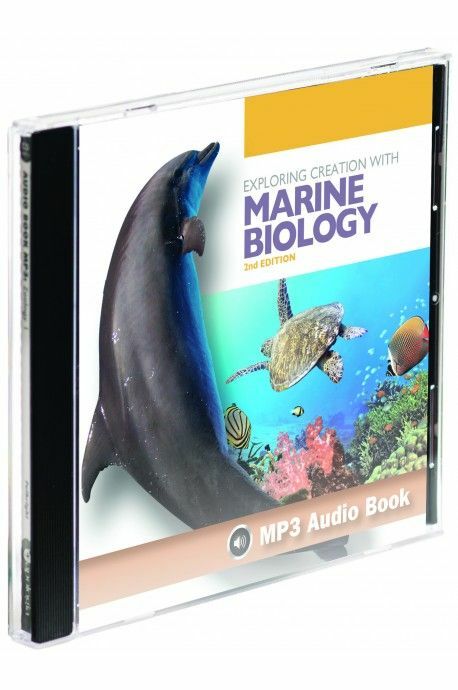 The MP3 Audio CD is perfect for audio learners or students who are not quite fast readers. We have thoroughly enjoyed our study so far of Marine Biology and look forward to diving a little bit deeper in the weeks to come. Apologia is our go to science curriculum for middle school through high school! I can count on them to help me educate my children with their comprehensive, college preparatory curriculum. Be sure to check out what my CrewMates thought of this new set by clicking the banner below!